Many household electronics and appliances consume electricity even when not in use, wasting valuable energy and increasing your electric bill. In fact, standby energy consumption can average up to $100 a year in unnecessary energy costs in an average American household. By using the Etekcity Remote Control Outlet Switch Kit to power everyday electronic devices such as TVs, chargers, and even Christmas lights, it's easy to be energy-efficient and economical. This handy feature enables you to program the learning outlet receiver to suit your particular needs. 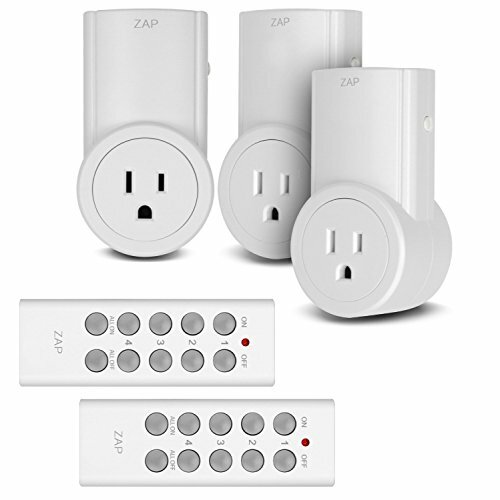 Match any button on any remote transmitter so you can control each outlet individually or all at once. With this level of control in your hands, you'll increase the efficiency of your household easily and conveniently. Integrate other Etekcity learning remotes and outlets to work seamlessly together. Note: To reduce the risk of damaging your devices, make sure that the wattage of your appliances does not exceed this product's power output.